The men and women of Sterling Cooper Draper Pryce are back with all-new drama inside and outside of the office. From creator Matthew Weiner (HBO's The Sopranos) and featuring a stellar cast including Jon Hamm (Friends with Kids), Elisabeth Moss (TV's The West Wing), Christina Hendricks (I Don't Know How She Does It) and January Jones (X-Men: First Class), Mad Men: Season Five arrives on Blu-ray Disc, DVD and Digital Download on October 16, 2012. The AMC premiere of Season 5 was the most watched Mad Men episode ever, up over 21% from the previous season premiere. Mad Men continues to establish itself as one of the most honored series in television history, winning its fourth consecutive Emmy for Outstanding Drama Series last year, a milestone achieved by only three other shows in history (TV's Hill Street Blues, TV's L.A. Law, TV's The West Wing). The hit series also stars Vincent Kartheiser (In Time), John Slattery (The Adjustment Bureau), Jessica Paré (Lost and Delirious), Robert Morse (TV's City of Angels), Kiernan Shipka (Carriers ), Aaron Staton (August Rush), Rich Sommer (The Devil Wears Prada) and Jared Harris (Sherlock Holmes: A Game of Shadows). The 3-disc Blu-ray and 4-disc DVD are packed with special features, including extensive commentaries and innovative featurettes examining the time period and culture of the Mad Men era. Mad Men: Season Five, which contains all 13 episodes,will be available for the suggested retail price of $49.99 on Blu-ray and $49.98 on DVD. Season 5 of Mad Men, four-time Emmy winner for Outstanding Drama Series and winner of three consecutive Golden Globes, plunges into the seductive and intriguing world of Sterling Cooper Draper Pryce. Jon Hamm and the rest of the award-winning cast continue to mesmerize as they adapt to changing times and social revolution. Lust is back. Adultery is back. Deception is back. Mad Men is back. "Mad Men Say the Darndest Things" - Take a look at the best one-­liners from the series and perhaps you will see your favorite! - "The Uniform Time Act of 1966" - A pictorial time line explores the history of Daylight Savings Time and its official observance in the United States. - "What Shall I Love If Not the Enigma?" - A glance into the life and work of metaphysical artist Giorgio de Chirico. - "The Party of the Century" - Author Deborah Davis and legendary bandleader Peter Duchin take you inside Truman Capote's infamous Black & White Masquerade Ball. - "Scoring Mad Men: Inside a Session" - Join composer David Carbonarra, orchestrator Geoff Stradling and sound engineer Jim Hill in the recording studio as they discuss their formula for scoring Mad Men. - "Newsweek Magazine Digital Gallery" - A selection of Newsweek Magazine covers share the top news stories from around the world in 1966. 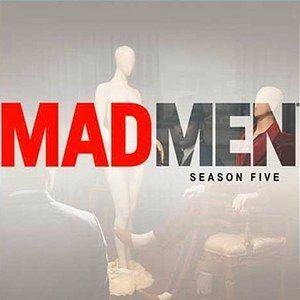 - Mad Men Season 5 commentaries - Matthew Weiner and the cast and crew of Mad Men take viewers behind the scenes in feature-length audio commentaries for all 13 episodes.